Professor Mary Marshall is one of the world's leading experts on design for people with dementia and she is alarmed by how little regard is being shown for accessible dementia design in the provision of public toilets. 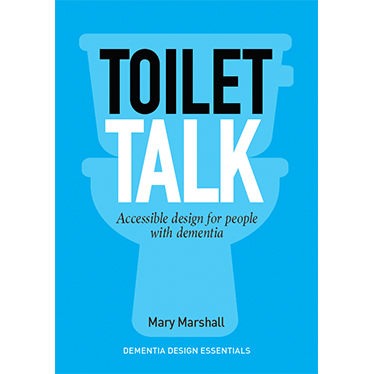 In this brief ebook, Mary pushes past the 'anxious laughter' which often greets this topic, and speaks frankly about what good, accessible toilet and bathroom design looks like, and why it is desperately needed. You can contribute to the discussion here.